Article researched and contributed by Nancy Batten. Photos from the family album. 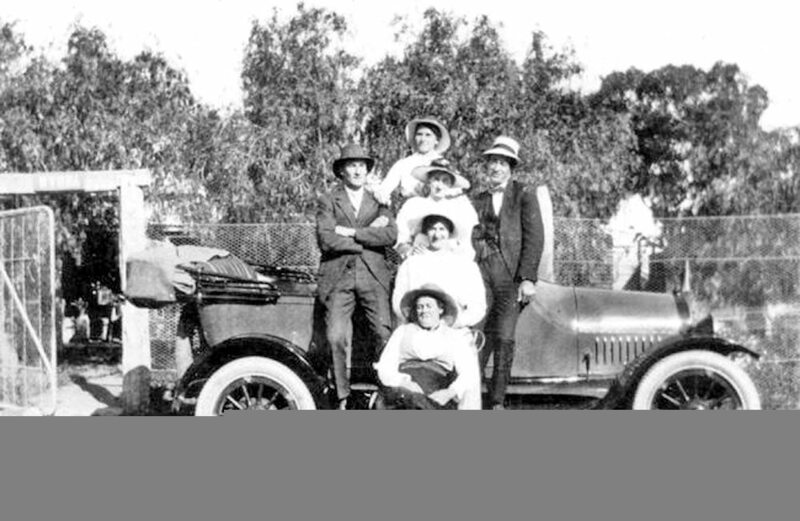 Whilst researching the family history it occurred to me that several cars featured in the family photo album could assist in establishing when the photos were taken. 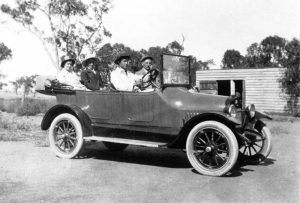 Believing two may be Buicks, contact was made with the Buick Car Club who soon determined they were and models and reference dates were established. The photos were taken on the family property by my father, Jim Atkins. Some were also taken on the neighbouring property; both properties are in the Trangie, Nevertire area in North Western NSW. The property today remains in the family, owned and run by one of William Atkins? grandsons. 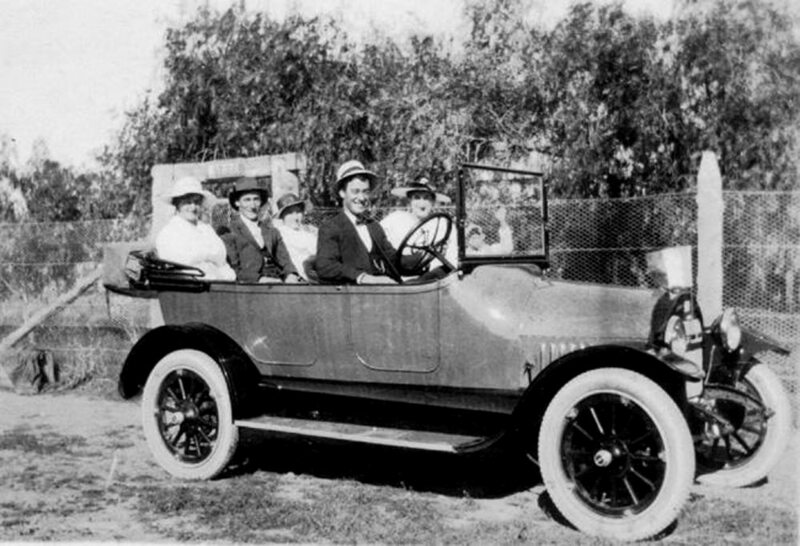 I believe that both Buicks were owned by my grandfather, William Atkins Snr, who is the front seat passenger in the main picture with his wife seated in the rear left. Main Picture: 1917 Buick model D35X tourer with the proud owner in the passenger seat. 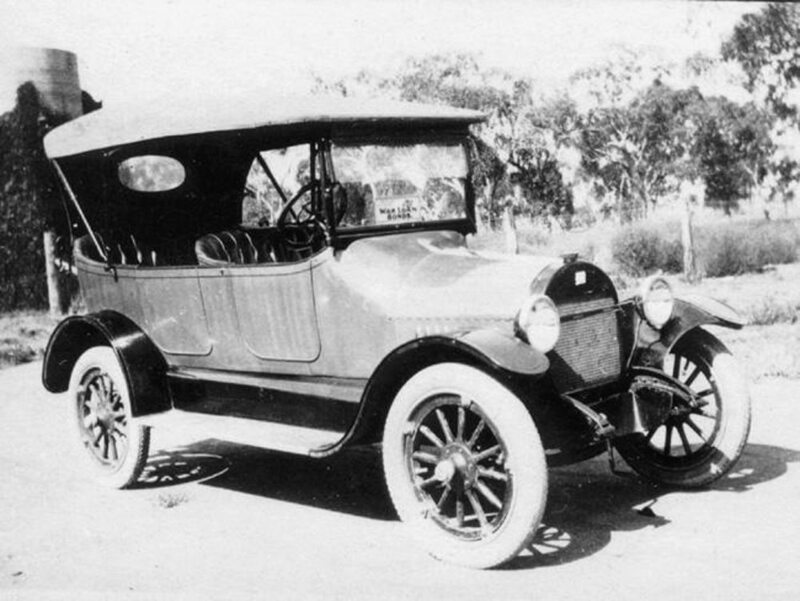 Thumbnail 1: The Buick D35X tourer looks brand new. 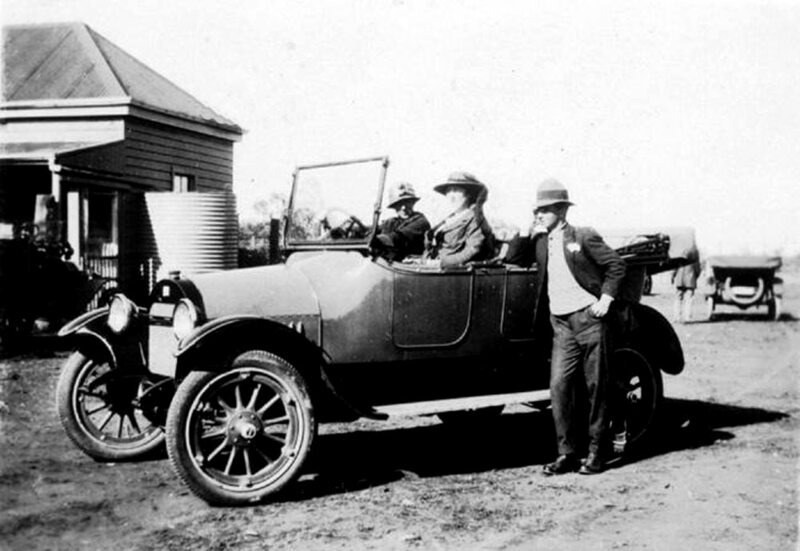 Thumbnail 2: The friends pose with the new 4 cylinder Buick. Thumbnail 3: Dad’s motorcycle, “T” Ford probably a1914 model, 1917 Buick D45X (6 cylinder) and the Buick model D35X . 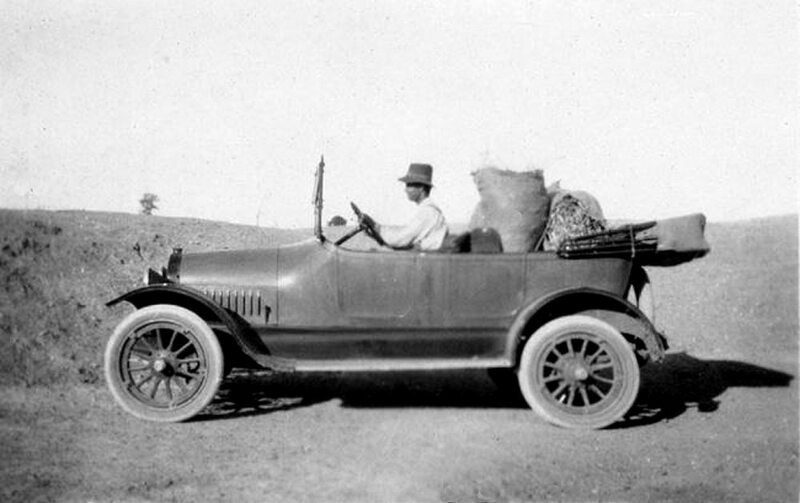 It is interesting to note the Ford is sporting a wire wheel on the front right side whilst the others are artillery wooden spoked wheels. Thumbnail 4: All smiles in the new Buick. 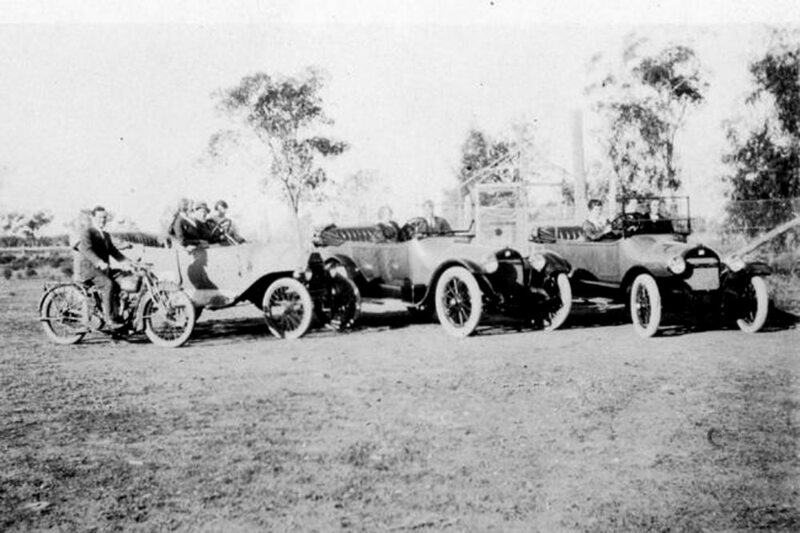 Thumbnail 5: Seems to be sometime later as the four cylinder Buick’s original white tyres have been replaced. Thumbnail 6: The four cylinder Buick works for a living.